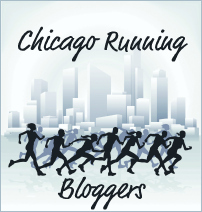 In honor of all my runnerd friends tackling Chicago Marathon this weekend, some musings on how to tell if you’re a runnerd. Feel free to add more in the comments. And, of course, you’re probably a #runnerd if you’ve ever used the hashtag #runnerd. Good luck to all the #runnerds racing this weekend! « Goals: Just Who Do I Think I Am? Love these, especially the one about planning races before vacation places. I just did that last week! My husband and I are planning a West Coast weekend away, so did I search for interesting museum exhibits? No, I checked the Runners World race calendar. And then you stalk him on Athlinks. I totally did that to a girl at work. We talked about her running and then I asked her what her PR is. I started planning vacations around races or epic training runs. You’re not shy to talk about chafing in public. In fact, you probably start the conversation.